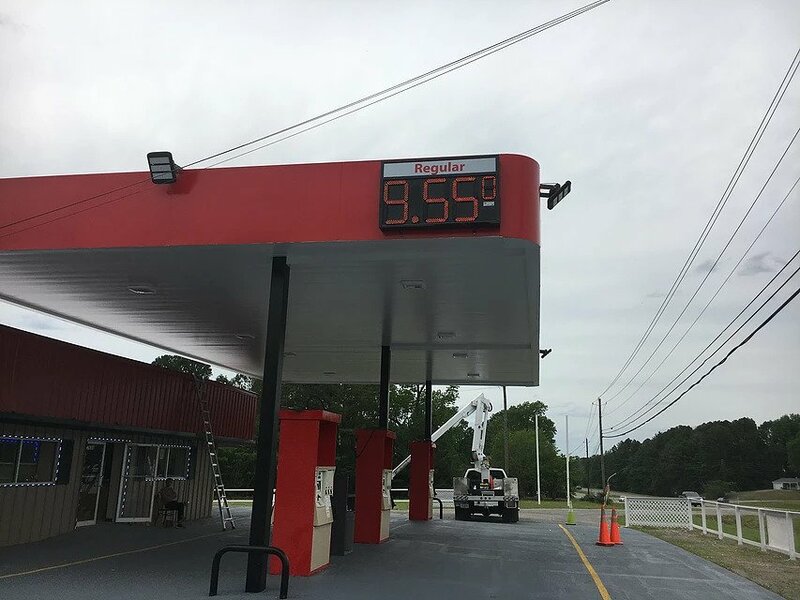 Metro LED’s gas price signs have been designed to feature what all operators look for in a sign, easy to install, operate, and maintain. 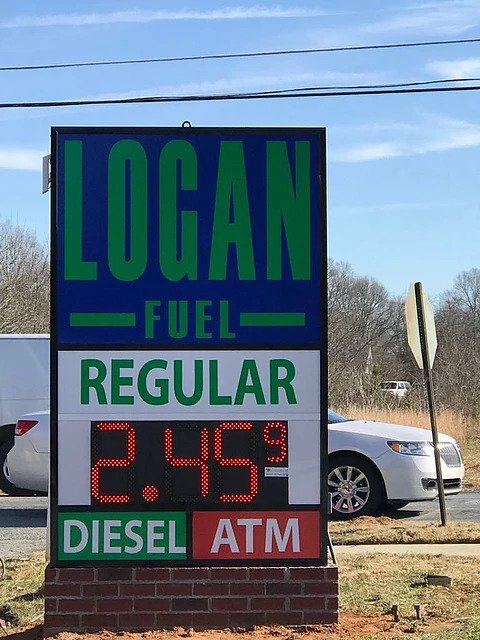 Our gas price signs offer one of the industry’s brightest fuel price numbers that can be changed with our remote control right from your store office or counter. 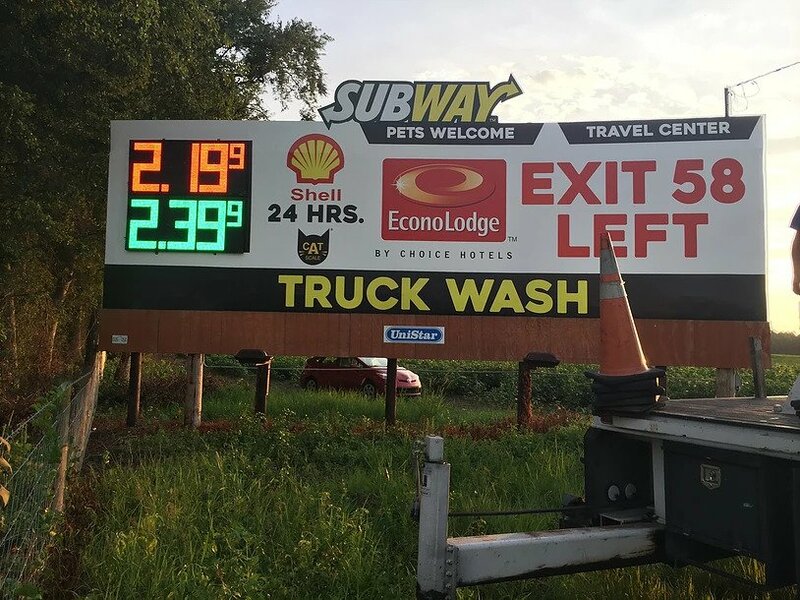 In addition, those operators looking to access their gas price sign from a remote location, our signs can integrate a modem to send a wireless signal in which the operator can connect to. This is typically used for signs installed on poles over 50ft high or on billboards. 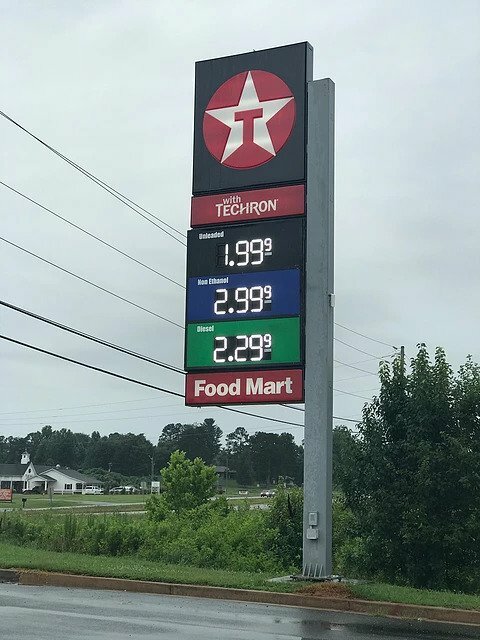 Our new generation gas price signs are featured as a turnkey solution. Built in power supplies, antenna, and ventilation makes installation quick, easy, and affordable while boosting energy efficiency and lengthening LED life. With the three color options of Red, Green, and White, we are able to cater to all brands. 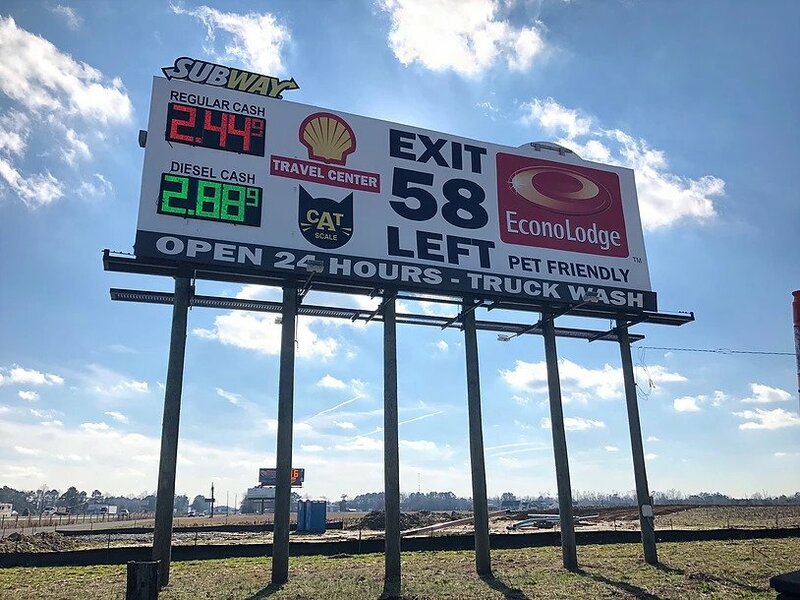 With our new thick character stroke and windowless design make, Metro LED’s gas price signs are now more visible from a further distance than ever before. In addition, the remote makes it easy to change the price and the brightness of the numbers. 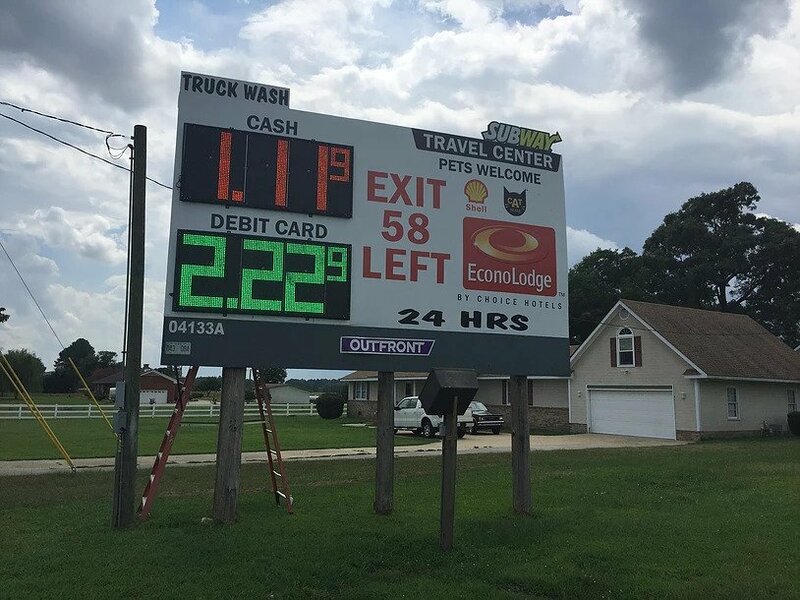 Our customers love the peace of mind that comes with owning a high quality outdoor gas price sign. 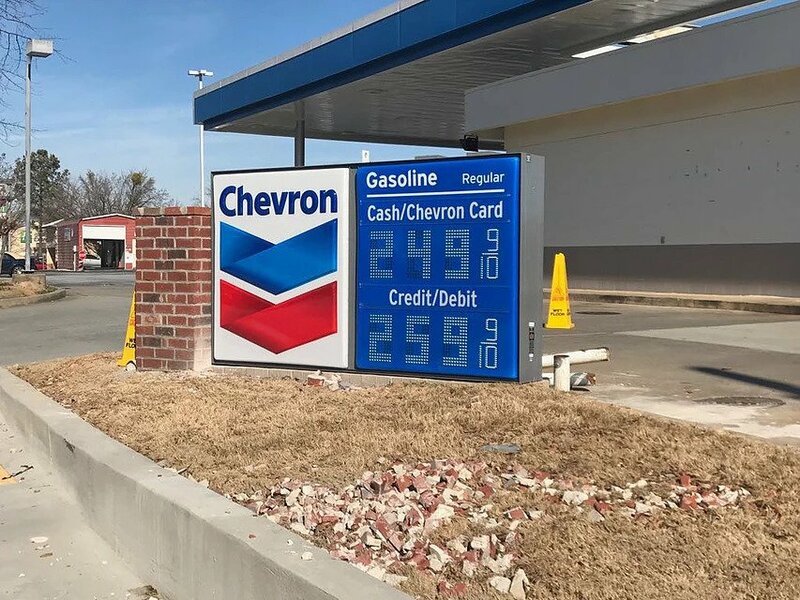 As with other products, our gas price signs feature fully-encapsulated modules that seal out moisture and dirt. Our module design is proven to last longer and perform better after years in the field. 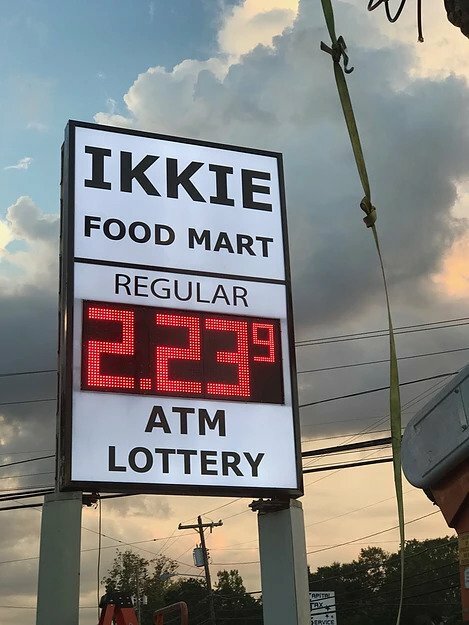 In addition, our industry leading warranty ensure you will not have to worry about your next LED gas price signs for years! 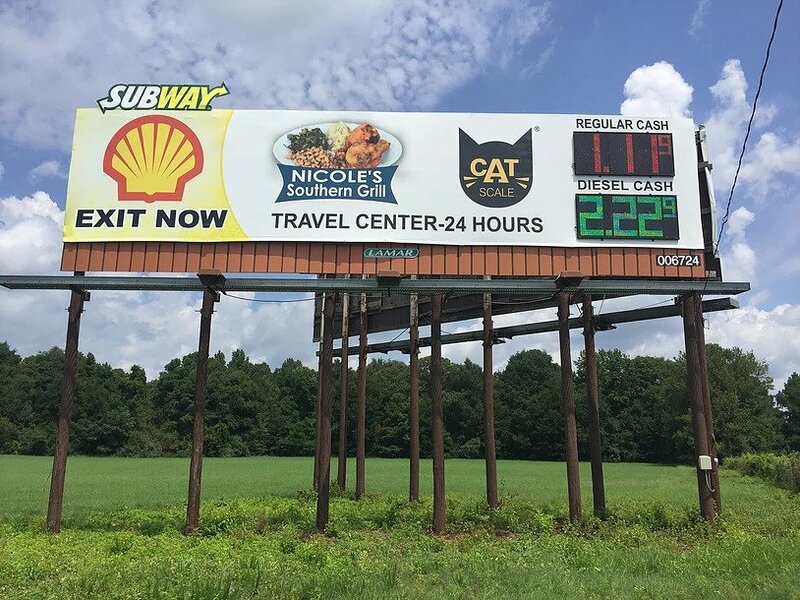 Customer wanted the ability to control all billboards from a central location. 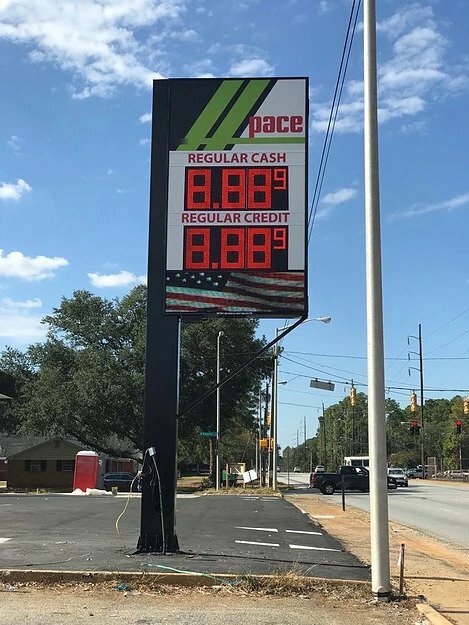 Modern was added to each gas price sign allowing the price to be changed from anywhere in the world. 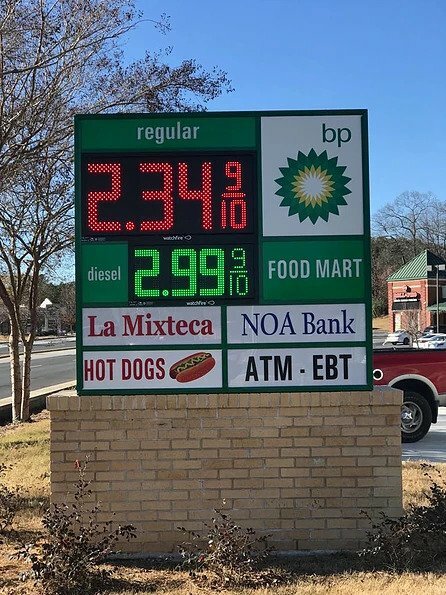 MetroLED completed the rebranding of this independent gas station from a BP and installed the LED gas price signs. MetroLED completed the installation and brick monument for this project. 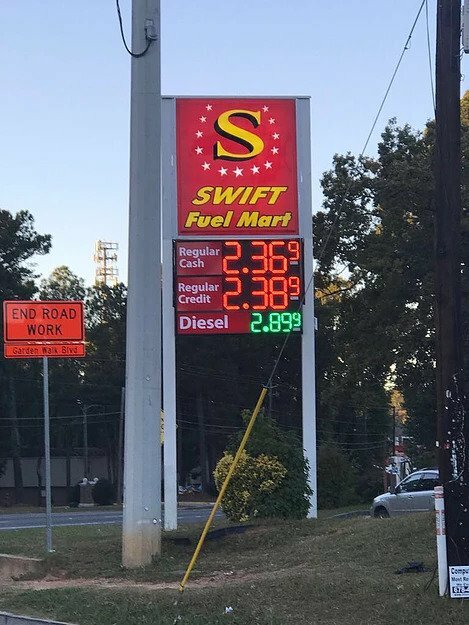 MetroLED completed the installation and remade the face to ensure a seamless placement of the gas price signs. MetroLED completed the installation on each side of the canopy.